I came from China hoping to work in this wonderful country, so I came to Languages International to improve my English. I was surprised that they arranged an orientation day to let me get to know a lot of information about the school and even sent a Mandarin-speaking teacher to talk me through more details. To me, this is very thoughtful. I can feel a happy atmosphere in the school. Simon, the teacher in my class was funny and talented, so we found it very easy to focus on learning. He also had some great suggestions on how to learn the language faster. 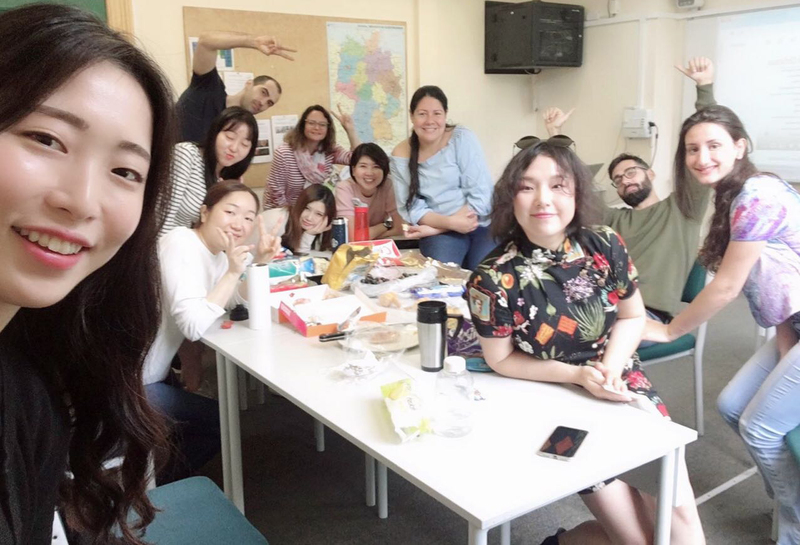 There were lots of different nationalities in my class, which was super helpful for me. I became more confident in talking with locals, and my colleagues have noticed my English has improved. I had to work while I was studying, so I could only attend part-time courses. But after starting here, I really wanted to have more time to spend at the school, to attend the many social activities that they provided and make good use of the Learning Centre or talk with my classmates in the cafeteria. We often shared good restaurants in Auckland that have the most authentic tastes from our country. I like to go hiking in different places around New Zealand, and our teacher always had good recommendations. It was a special and wonderful time for me. New Zealand is a perfect place to take English courses. I will recommend this school to people who have similar needs to mine. Actually, I have already recommended Languages International to many people, lol.